← NEW Wizarding World of Harry Potter Launches at Universal Orlando! Oh the Brits do love a dramatic pause don’t they? Downton Abbey keeps us waiting nearly a year in between seasons, Sherlock likes to come around every quarter century (or at least it feels that way to this Sherlockian) and Hobbit fans have been waiting for, what seems like, ages for even the slightest peek of Peter Jackson’s grand finale in his Hobbit trilogy. The Hobbit: The Battle of The Five Armies is not due to be released until December but fans are chomping at the bit for any peek at the film. Productions stills, a poster or most importantly the TRAILER! Anything to whet our appetite! Rumors have been swirling around Hobbiton for awhile on exactly when we might see something and now Peter Jackson is putting us out of our misery…sort of. Here is a message from Peter himself explaining where he is in post production and when we should expect the long awaited for trailer! 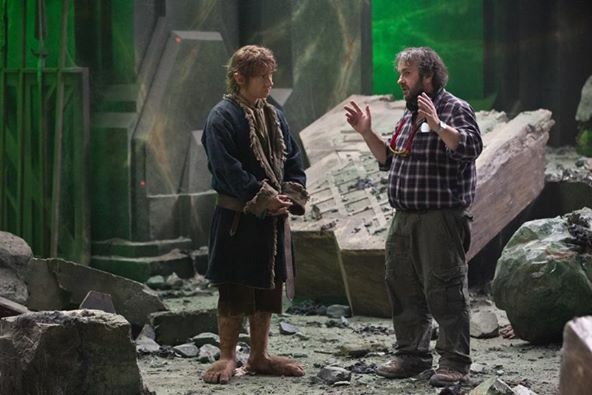 “…Many of you asked about the Hobbit Trailer. So, yes – there will be a Hobbit Trailer. But like the previous two years, it’s not going to be released until around Oct. The complex VFX work required to produce the battle shots we’re all wanting to see are simply not far enough along yet. OCTOBER? What? While that may be a blink in Hobbit years…it can be an eternity to humans! At least we have the ‘teaser’ trailer to look forward to. Fingers crossed it’s longer than 15 seconds.